companies don’t know how to build long-term relationships with prospects. If a company contacts a lead too early or too late, the lead may get lost and snatched up by competitors. How can you prevent this from happening? By developing an effective lead nurturing programme. 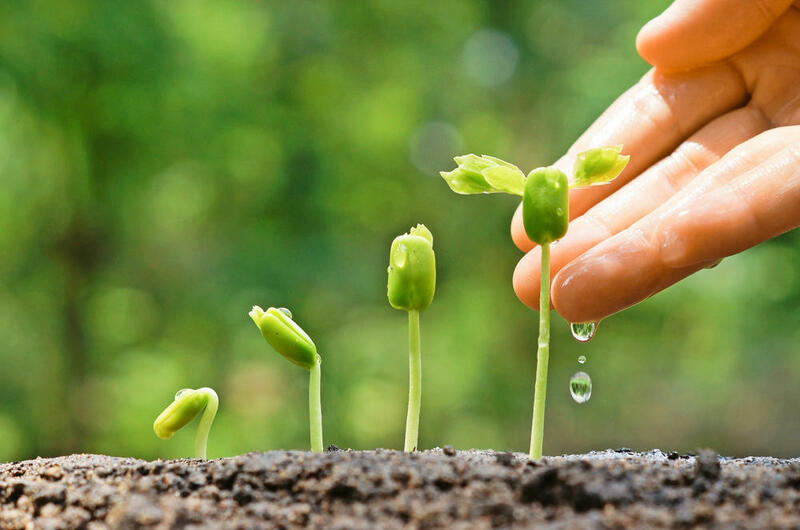 Defined as the process of building relationships and trust with leads, lead nurturing isn’t a unique event, but an ongoing process, which must be fine-tuned according to the needs and demands of prospects. Although many marketers opt for email marketing and marketing automation to nurture leads and turn them into customers, most of them have come to the conclusion that developing a comprehensive strategy is critical to achieve the best results. Below are a few points to consider when defining your strategy. Objectives: To set the right objectives, you need to determine who your buyer personas are. For this, think about the characteristics of your prospects, including preferred forms of communication (emails, SMSs, RSS feeds, etc.). Since the buying process isn’t always linear, it’s also essential to establish the stages people must go through to buy your products or services. If you’ve decided to launch a new product, for instance, the emails sent to prospects should take them to a single page that presents information about the product and displays a “Buy” button to facilitate purchases. Content: Content creation represents an essential part of lead nurturing. Most prospects find content targeted to their job roles and industry sectors more valuable than generic content. To optimise content for lead nurturing, you must ensure that it’s engaging, to the point, and high quality. Another point to remember is that content should always deliver what people expect, namely valuable information. Entry and exist criteria: Establishing entry and exit criteria when developing your strategy isn’t that easy. The trick is to determine who should and shouldn’t be included in your programme. Here are a few additional aspects to consider: How will prospects be fed into your programme? Should you opt for email marketing, contact groups, forums, or contact forms? Should you use certain marketing automation tools? What about excluding contacts from your programme? Is it necessary to create different exit paths, such as unsubscribe forms and options for deactivating accounts? Timing: The success of your strategy depends on timing. Although communication frequency is different for every company, varying according to business goals, buying personas, and prospects’ preferences, general guidelines recommend contacting leads once a week. Reporting: Most marketers measure the success of their strategies with specific tools, such as Google Analytics. The conversion rate, email unsubscribe rate, and revenue per user are a few metrics that indicate how effective your programme is. Post-nurture plan: You also need a plan for the prospects who become customers. What will happen to them? Can you turn them into regular customers? Obviously. The secret lies in creating loyalty programmes and keeping customers informed about your products, services, offers, and promotions. Nurtured leads can increase sales by 20 percent versus non-nurtured leads. Therefore, developing an effective lead nurturing program is very important. Since most buyers don’t engage with sales from the very beginning, marketing and sales teams must collaborate throughout the entire lead capturing and nurturing process to offer qualified prospects high-quality information that isn’t only relevant and timely, but also responds to specific situations.